BIC® is a family-owned company listed on the Paris Stock Exchange and a world leader in stationery, lighters and shavers. The founder, Marcel Bich had a foresight of seeing the potential for the ballpoint pen and improvising the ballpoint for the masses. He launched his own ballpoint pen in France under the BIC brand - a shortened and more memorable version of his own name. The first product created was the BIC Cristal® ballpoint pen, which was the first high-quality pen sold at an affordable price, making it a consumer favourite. BIC began its global expansion with Belgium in 1951. 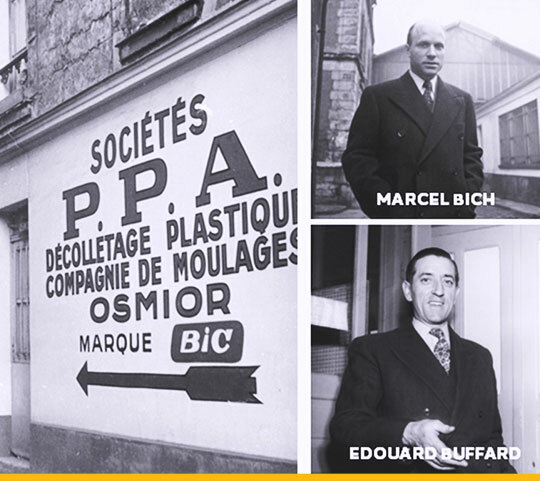 The Society BIC was then created in 1953 by Marcel Bich and Édouard Buffard to manufacture and distribute BIC ballpoint pens. Since then, BIC® has established more than 4 million outlets in over 160 countries including France, Italy, Brazil, Japan, Mexico, selling approximately 25 million stationery products every day. It employs over 17, 805 people in 27 factories spread across 4 continents and has emerged as a market leader in Europe, Latin America, Africa and Asia. A safe working environment is a key focus of BIC with measures that ensure the safety of employees implemented with diligence. BIC consciously takes into account the various types of diversity be it gender, race, disability, age etc. with the BIC Charter of Diversity, a global program with local considerations. BIC promotes health and wellness at work and empowers employees to achieve physical, mental and financial well-being through its global program "Quality of Life at Work". Stressing on the importance of employee growth and development, every BIC member is afforded the opportunities to fulfil their potential, irrespective of their function, level of responsibility and years of experience. BIC strives to continuously improve its performance on worker's rights, labor standards, and other human rights issues across the production process and supply chain by implementing the BIC Code of Conduct. Together, these values and BIC®'s vision have interwoven seamlessly to give rise to innovative products of the highest quality for consumers worldwide.